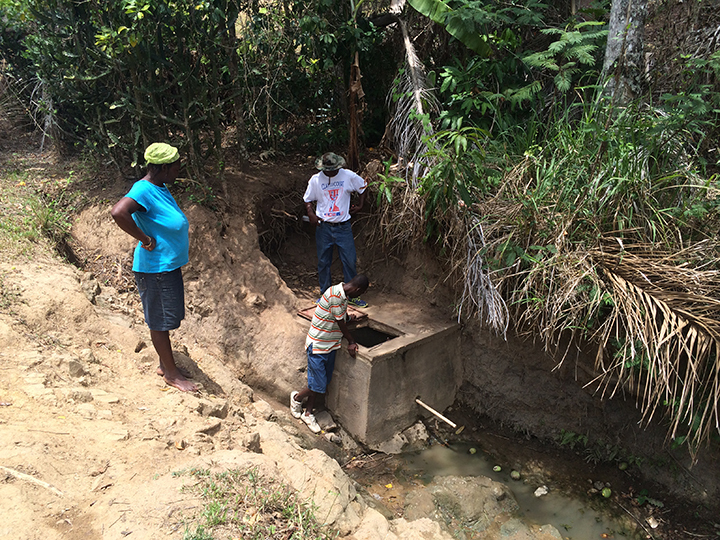 The Rural Water Project is underway! As of this week, construction is underway on multiple tanks in The Rural Water Project. The project, which focuses on empowering and enabling local rural Haitians to control their own health and safety in regards to clean water, has begun in full swing. There are, and will be, a total of forty tanks serving forty rural communities in Ranquitte Haiti. Twenty of these tanks are in states ranging from disrepair (thus the work this week), to functionality and needing of upkeep. And another twenty are going to be built with the support of your future donations. Our contact in Haiti was excited to get our first round of financial support so that he could put his construction team to work. We will be visiting Haiti to monitor the project in the next few months and will have photos to show you the progress! This work allows Haitians to help Haitians. It lets water tanks be put in place that prevent cholera, by allowing local people to take care of their own water supply. The amount of money we need to continue running this project is small in terms of what gets spent by big bureaucratic nonprofits. But we are not big. We are not bureaucratic. We are immensely significant in the work that we do because we work effectively. We are all volunteers. And we use every dime to its best possible advantage. If you are able to help, please let us know.